The web gives anyone in the world access to your business. Whether you are a small or large organization, you can have a presence that relays your goods and services to anyone, anywhere who searches for your company. Consumers search through the web with their computers but more frequently through their mobile devices. Having a web site that is designed to be responsive no matter what device someone is using is extremely important to a great user experience and better for your business. A web presence is not just enough. 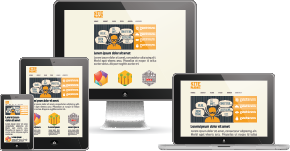 You need a site that is easy to navigate and user-friendly. There are more than two billion people who have access to Internet and have a website will significantly help your possibility of getting more sales. Build your business online with one of our custom designed sites that will mirror your business needs and your target customers. We built our own website and know that it takes a lot of time and effort to create the right representation of your business. If you are ready to take your online presence to a new level and provide a better customer experience – OSI Technology is your best solution. With OSI Technology, you will get digital or tactile, web-based and real world, meeting your unique design needs. 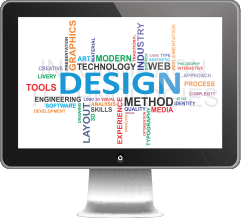 When your site needs design – whether it is a full design and application of your web site or the creation and production of any other materials, OSI Technology has the capabilities you need. We can design unique brochures, banners, business cards, pictures, graphics and more that fulfill any of your business needs. With tools and programs such as Adobe Photoshop, Illustrator and InDesign, our capabilities are limitless – bringing your ideas and projects to a reality. If you need something created from scratch or an alteration and improvement on an existing piece, OSI has the right solutions and talented team to provide you a product that fits your needs.